So a few weeks ago I wrote an article all about the many fun ways a muffin tin could help you with your baking, and the many things you can do with it in the kitchen! However, did you know there are several uses for a muffin tin that don't involve baking or cooking? Check out some of the ideas below! 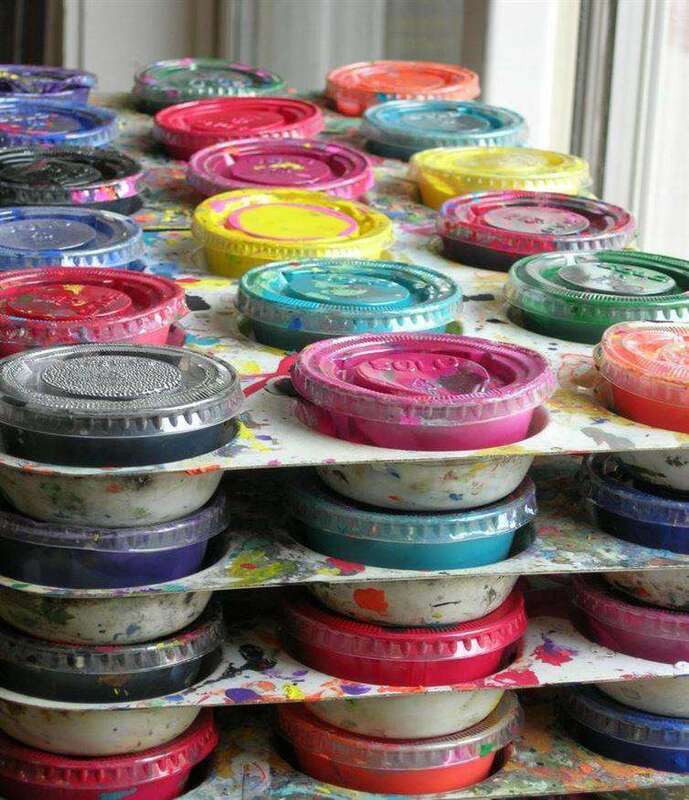 *For any teachers or parents of kids- use muffin tins to store paints! Keep them in their own container and place them in muffin tins for easy and convenient storage! 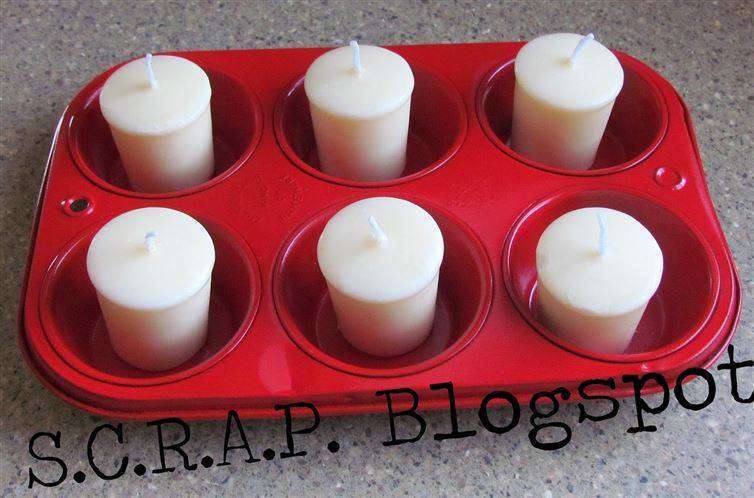 *Muffin tins are the perfect shape for handmade soaps. Just use your favorite hand soap recipe and let it harden in muffin tins- such a cute shape and just the right size! *Keep your desk organized with a muffin tin! Use it to keep small things like paper clips, binder clips, magnets, erasers etc separated from each other. Get a cute colored one from the dollar store and you're set! *Sometimes candle holders are hard to find, but just get an old muffin tin from a thrift store, use spray paint to make it your favorite color, and voila! A beautiful and unique candle holder. *Organize your sewing notions. Keep your pins, buttons, ribbons, etc . neat and organized! *Keep colored beads and pasta noodles separated when making necklaces at a child's party! Less mess is always great;). 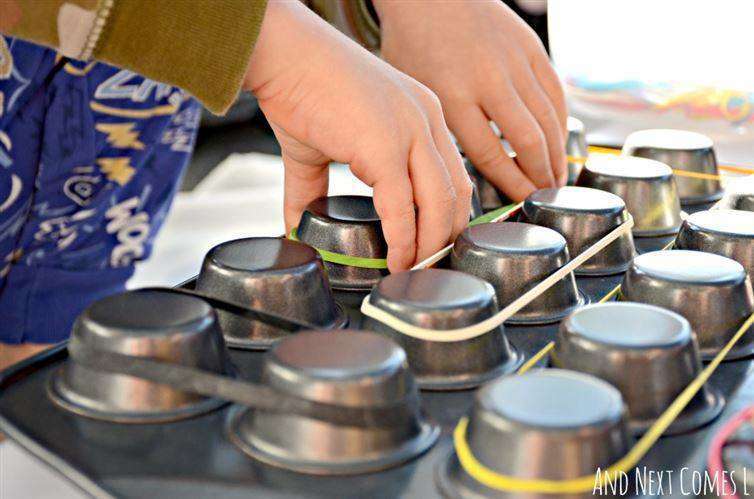 *Help your children fine tune their motor skills by giving them a few rubber bands and an upside down muffin tin. As they practice stretching the rubber band to go across the tins, they'll be practicing your skills and you can get some cooking done! *Come Easter time, use those muffin tins to dye eggs! Just put a different color in each spot. What an effective way to get as many colors on the table as possible without the huge risk of spill! *It makes a handy dandy drink holder. Whether it's a windy day and you're trying to pour drinks for your guests outside, or you are the designated food pick up person and you're trying to juggle 10 drinks, use a muffin tin to keep those cups from moving all over the place! 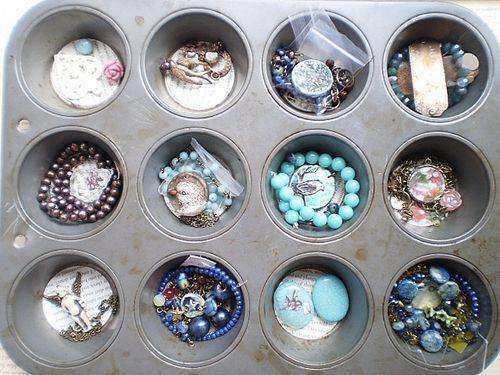 *Muffin tins could also make a cute and unique jewelry holder- and a great way to keep them separated! *Use them as an educational tool. 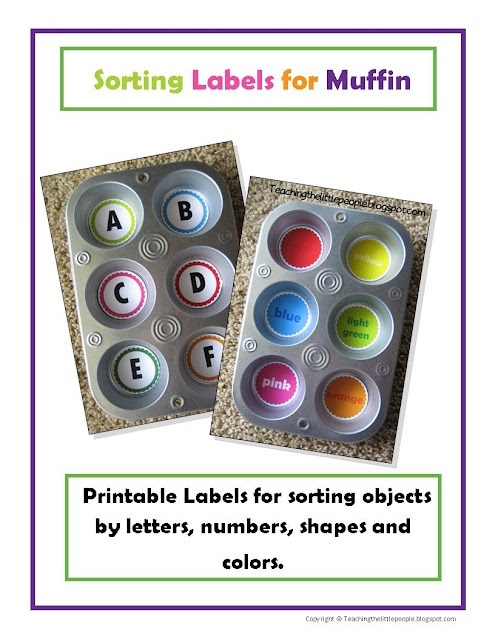 Place labels on the bottom of each slot, and have your children sort items accordingly- they could sort colored Legos or beads, magnet letters, etc. What other ways do you use muffin tins? 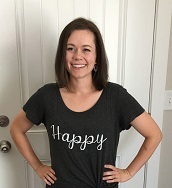 I'd love to hear your ideas!